Fully escorted by Professor Geoffrey Hayes, University of Waterloo in association with the Laurier Centre for Military, Strategic and Disarmament Studies. 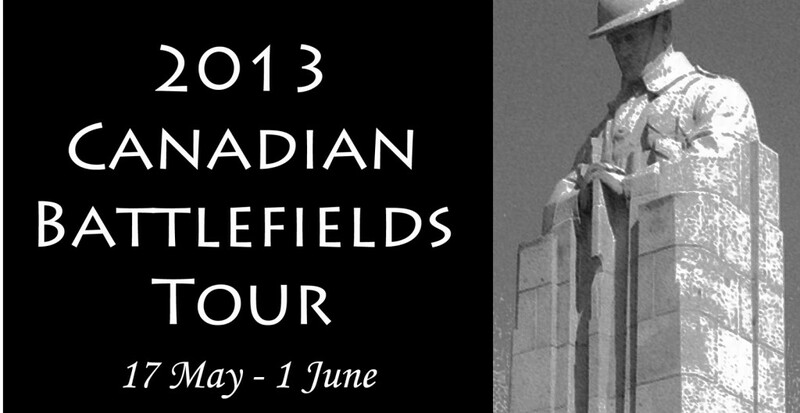 Join history professor Geoffrey Hayes as we explore the Canadian battlefields of the First and Second World Wars. Our first week will find us in Northern France as we trace the route of the Canadian Expeditionary Force from Ypres to the Somme, Vimy Ridge and the Final Hundred Days of 1918. Then, after a day walking the beaches of Dieppe, we will travel to Normandy to retrace the Maple Leaf Route through the summer of 1944. From the invasion beaches we will follow the Battle of Normandy from through Caen and Falaise. At each stop, we will examine the Canadian contributions to these engagements, and discuss how we have come to understand and remember these important events. We will also have a chance to enjoy the beautiful sites of Belgium and France, including Paris, Mont St. Michel and St. Malo. DownLoad the Cover and Inside of the Brochure here. 14 nights’ accommodation with breakfast in Paris, Ypres (Belgium), Arras and Dieppe. We will also enjoy 7 nights at the beautiful Moulin Morin, a self-catering establishment built in a restored mill set in the beautiful Norman countryside. Deposit – non-refundable payment of $750.00 is required at time of booking. Final payments are due 70 days prior to the departure date. Sarracini Travel endeavors to take all necessary precautions to ensure that this program/package is safe, enjoyable and successful. However, they shall not be held responsible for accidents of any kind, lost or damaged baggage, delays in departures, changes to itinerary, or increases in prices which are beyond their control.